Pokemon cosplay has just gotten a lot easier for cats! With these officially licensed Pokemon hats you can quickly transform your kitty into any Pokemon you like! Cute, right? The only trick is getting your cat to wear one! Outfit your smartphone with this adorable sleeping Pikachu anti-dust plug. The figurine perfectly captures the iconic Pokemon as though he’s taking a little snooze. Presumably after a lengthy battle with Team Rocket. Boo may be one of the most recognizable baddies in the entire Super Mario franchise, but this one doesn’t want you to think of it as an enemy. It just wants to snuggle with you! But it’s pretty shy, so you should probably wait for it to make the first move. Here’s a great way to store your Nintendo Switch games! This 3D printed stand allows your to store up to 12 Nintendo Switch game cases. You also have the option to have it personally customized and printed in different colors. Modeled after your favorite starter Pokemon, these 3D printed coasters are topped off with a layer of cork to create the perfect resting spot for your drinks! 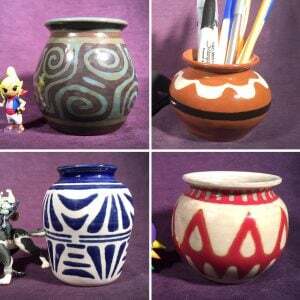 Perfect for entertaining geeky house guests, each can either be sold separately or as a complete set! Pay homage to the world’s most famous magical girl by listening to your favorite tunes on a pair of Sailor Moon headphones. This charming music accessory folds up for compact storage and comes with soft cushioning to provide a comfy fit. This doll is based on Yubaba, the bright and charismatic bathhouse owner from Spirited Away. This one of a kind replica is completely handmade. Hands move, fingers can bend and she can stand on her own. 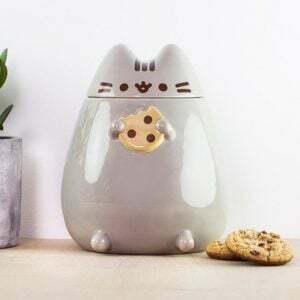 Keep your rampant snack cravings in check and stow your biscuits inside the welcoming belly of this Pusheen cookie jar! Made from glazed ceramic, Pusheen will gladly keep your cookies from going stale and chewy until you’re feeling a bit peckish. 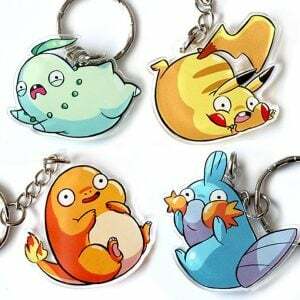 These roly-poly, super derpy Pokemon might have had one too many Rare Candies to eat, but they can still protect your keys! 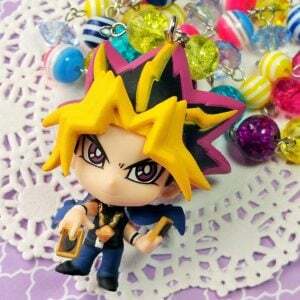 The clear acrylic charms are made with vibrant colours and clean laser-cut edges. So cute and funny! 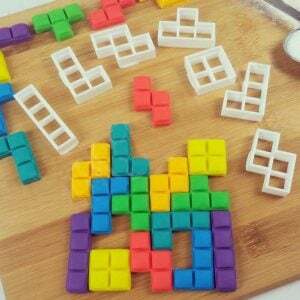 It’s time to clear some lines with a batch of Tetris shaped cookies! This set of cookie cutters will allow you to create delicious interlocking treats to feed hungry and nerdy house guests. Includes all 7 Tetromino shapes! Add a little video game nostalgia into your home by letting this Space Invaders rug take over your living room. The rug is available in 8 vibrant color combinations and makes the perfect addition to any gaming room. Your friendly neighbor Totoro wants to help carry all your stuff! By strapping up with this shoulder bag, Totoro fans can now have a unique way to haul around gear, while keeping the King of the Forest along side them wherever they go. No matter how much you blow on these cartridges, they’re not going to work! This set of 8 double-sided card coasters are made to look exactly like all the classic NES games for a fun and nostalgic way to serve drinks to house guests. A key hook for every hero! The instantly recognizable Select Player screen from Super Mario Brothers 2, has been entirely revamped into a decorative plaque for a spot to hang your keys. A must have for forgetful Super Mario fans!